Welcome, knitter! 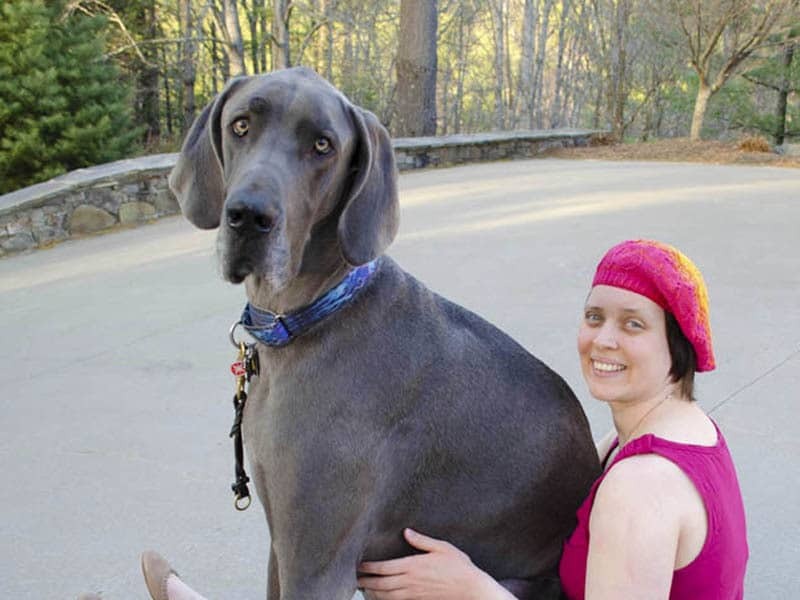 We are Lindsay Lewchuk, the creative force behind Knit Eco Chic (KEC), and Puddles, the Great Dane, my daily joy and comedic companion, who happens to show up with great frequency on my social media posts. With an undergrad in Philosophy, when it came to writing my bio, it was natural for me to express it in terms of the philosophies that guide KEC. All the patterns and FOs available through KEC feature eco yarns that are derived from eco sources, whether that be organic, chemical-free, naturally dyed, socially responsible, fair trade, low impact, low carbon foot print, hand spun, hand dyed, etc. Additionally the primary suggested yarn and sample, the sample I knit, are always animal-fiber free. I’m not ethically against using eco animal fiber, in fact, when I or a Ravelry group member happen upon a humanely sourced animal fiber, I have a thread dedicated to sharing that info, but due to my limitations I am unable to use it. Where my limitations impact my patterns I seek help from a great group of testers! I request testers to test in a variety of fibers so with their feedback, I’m able to state explicitly when yarn substitution will not work on a particular pattern. A tailored garment sets off your God-given attributes, so my designs are fashioned to wow! I love to learn and came into knitting from an experimental rather than pattern focused background. During a long hospitalization, I sought an enjoyable distraction from the daily drudgery of medical tests. Having learned some basic knitting skills as a young girl from my talented Baba and very creative great grandmother, I decided to again try my hand at this craft with a set of knitting needles and single skein of organic cotton. I spent hours knitting it up and frogging it back trying different techniques and stitch combinations just to see the results. After I returned home, I began experimenting with eco fibers and discovered that when I subbed for patterns written in wool after washing the finished garment no longer fit. Curiosity got the better of me and I had to ascertain why! I experimented with swatches of different eco fibers and analyzed what happened after the washing and blocking. I incorporate this information into my patterns so that the final result is wearable as well as beautiful! This geeky love of fiber and technique is the impetus behind my love of unique and intricate patterns. Never fear though, when there is an unusual technique implemented, I’ll add what is necessary to the pattern so you are able to recreate it as well, by including additional charts, written explanations, or even you tube how-to videos. I’m so glad you decided to journey with me! Ravelry is my designer “home,” but check out the “FAQs” tab for all the places you can find me around the web.